Once part of the White House grounds, Lafayette Square contains a number of important, historic buildings, including the White House, the Old Executive Office Building, and, of course, The Hay-Adams — named for John Milton Hay, Abraham Lincoln’s private assistant and secretary of state, and Henry Brooks Adams, author and descendent of Presidents John Adams and John Quincy Adams. This hotel has hosted a number of the nation’s presidents, along with many other important figures, such as Amelia Earhart and Sinclair Lewis. 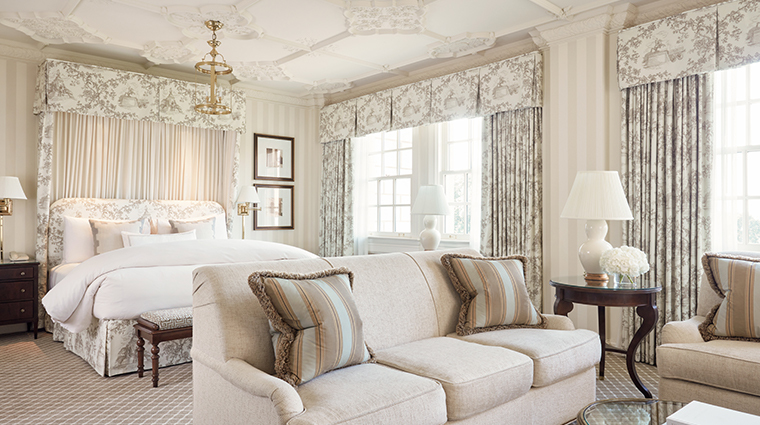 The guest rooms have a regal vibe with ornamental ceilings, fireplaces, European linens, marble bathrooms and some have balconies with views of the White House or Lafayette Square Park. One of the best spots in the hotel is the luxurious rooftop terrace. 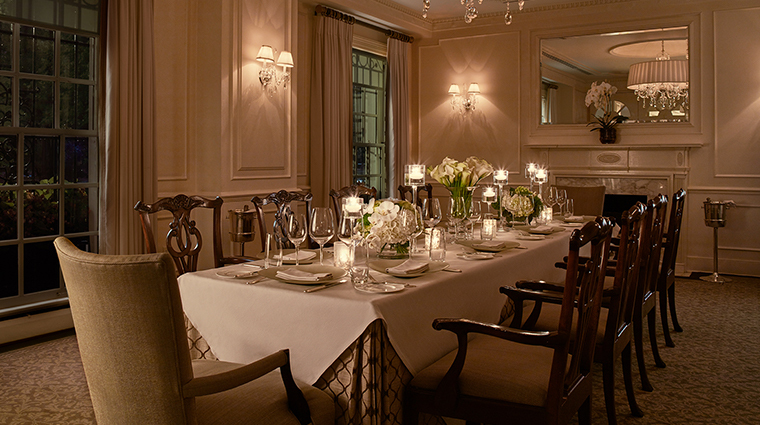 Its panoramic views of the city, monuments and White House make it an excellent choice for private parties and events. 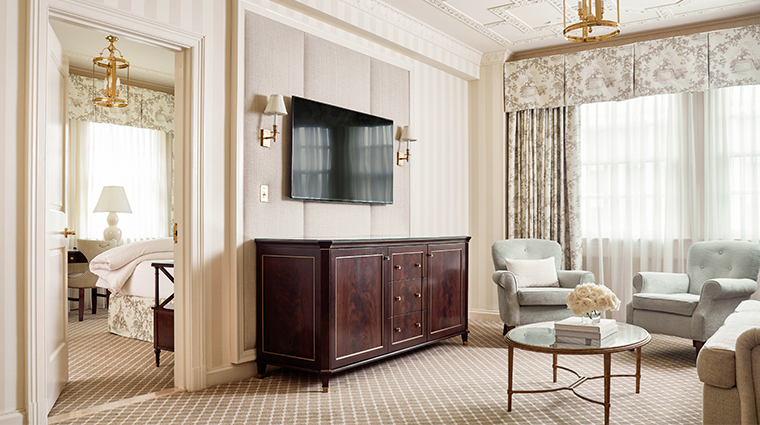 Located just steps from the White House and Lafayette Square, The Hay-Adams makes the perfect home base from which to explore the capitol city’s famous monuments. The elegant hotel’s knowledgeable Les Clefs D'Or concierges are more than happy to assist with ticket arrangements, sightseeing tours, dining and, of course, directions to just about anywhere you need to go. Travel around town in style with the hotel’s luxury car service, available on a first-come, first-serve basis. 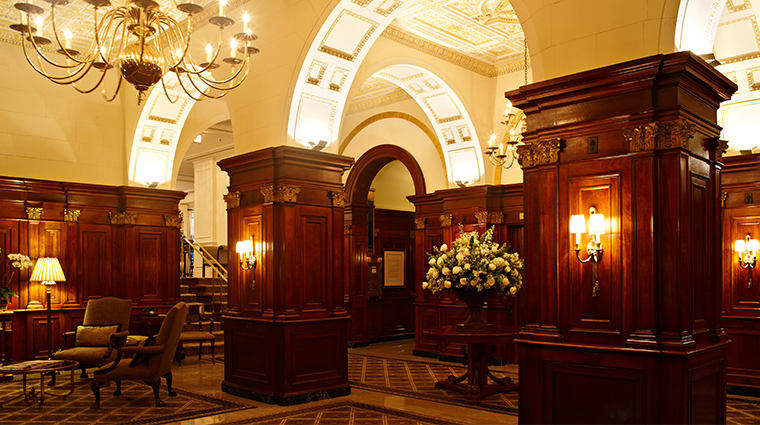 History comes alive at The Hay-Adams with the hotel’s Author Series, where renowned writers give talks, meet and greets and lead intellectual discussions for locals and hotel guests alike. Past authors have included John Grisham and Maya Angelou. The elegant DC hotel’s Off the Record bar is a local favorite, considered the city’s best place to be “seen and not heard.” Enjoy a classic cocktail surrounded by caricatures of the capitol’s past and present elite. Wi-Fi is complimentary throughout the hotel, in both the public spaces and your room. 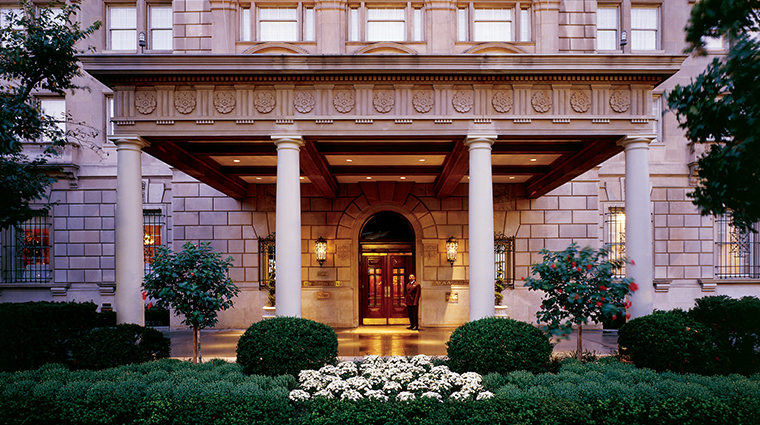 You will have to pay for parking while staying at The Hay-Adams, though if you’re just coming for dinner, you can park for free with validation from The Lafayette. While the Washington DC hotel does not offer an onsite pool or spa, there is a well-equipped fitness center open from 5am- 10pm daily. 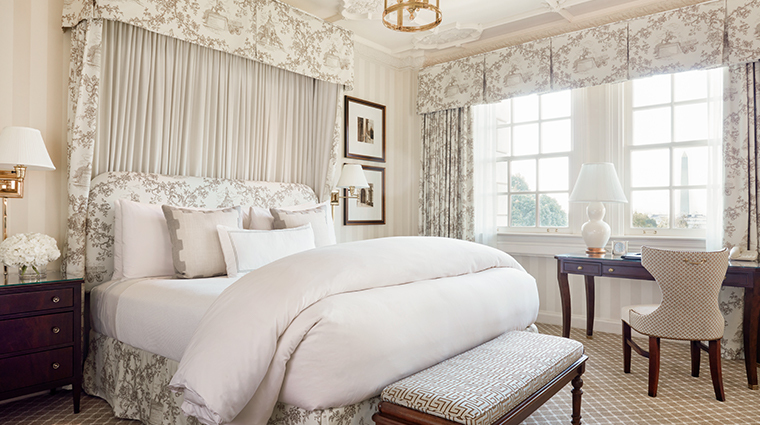 The elegant guest rooms are designed in a traditional style reminiscent of the area’s colonial roots featuring a neutral cream color palate with pops of espresso and sage. 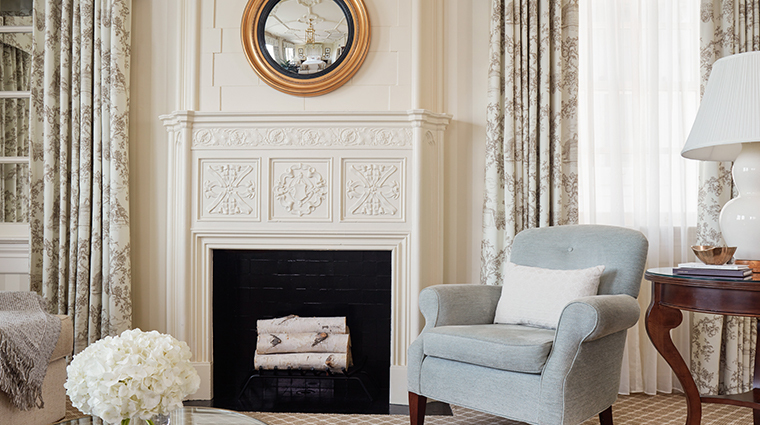 Luxurious touches include ornamental ceilings, fireplaces, European linens and marble bathrooms with brass fixtures. Though the rooms are traditional in style, they do possess modern technology, such as digitally controlled heating and air-conditioning, 50-inch HD TVs, complimentary Wi-Fi and SoundLink Mini bluetooth speakers. 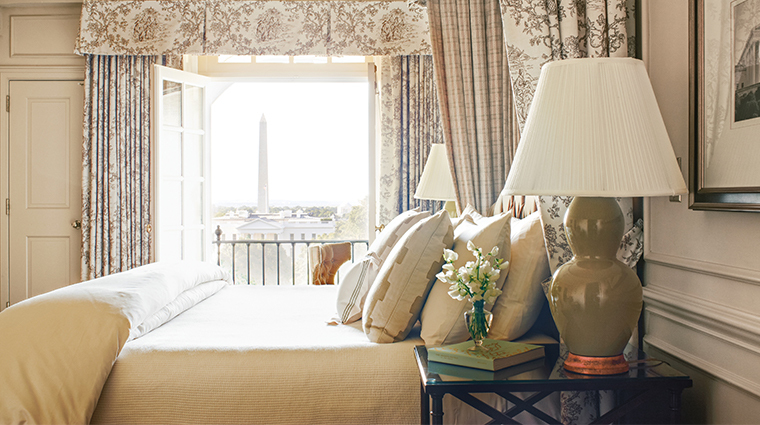 Some of the rooms feature French doors that open out onto private balconies with views of Washington’s monuments — be sure to request one to enjoy your morning coffee with a side of resplendent vistas. Hailed as a premier fine-dining restaurant in the capitol, The Lafayette serves upscale American cuisine for breakfast, lunch and dinner daily with a special brunch on Sundays. Regional ingredients are used whenever possible on the seasonally changing menu at The Lafayette, like the roasted Muscovy Hudson Valley duck breast or the Pennsylvania Angus beef tenderloin with caramelized shallots. The luxurious Sunday brunch is not to be missed featuring opulent selections like a lobster omelet with shitake mushrooms, black Angus onglet steak or the crab cake Benedict with tarragon hollandaise. Don’t forget to wash it all down with a strawberry orange mimosa. Pastry chef Elenor Apolonio-Frantz prepares a masterful menu of decadent desserts using seasonal ingredients offering selections such as the apricot and almond tart with wine poached apricots, brown butter and olive oil cream.